Table lamps are a fun way to add personality to a room and can easily be changed out for a fresh new look. 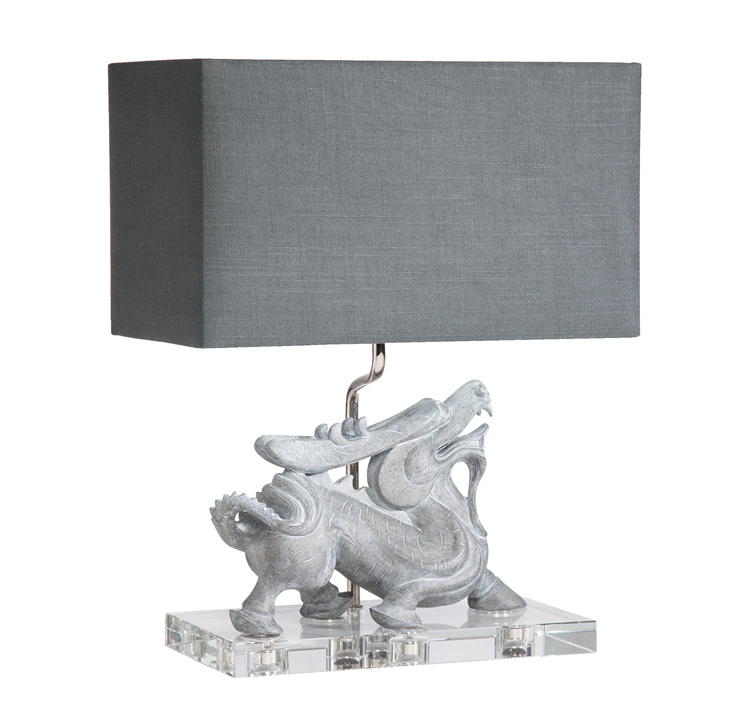 two: Foo dragon desk lamp, available at Ethan Allen. three: Abstract lamp with 6-crystal sphere, by Global Views, available at Holt Lighting Depot. 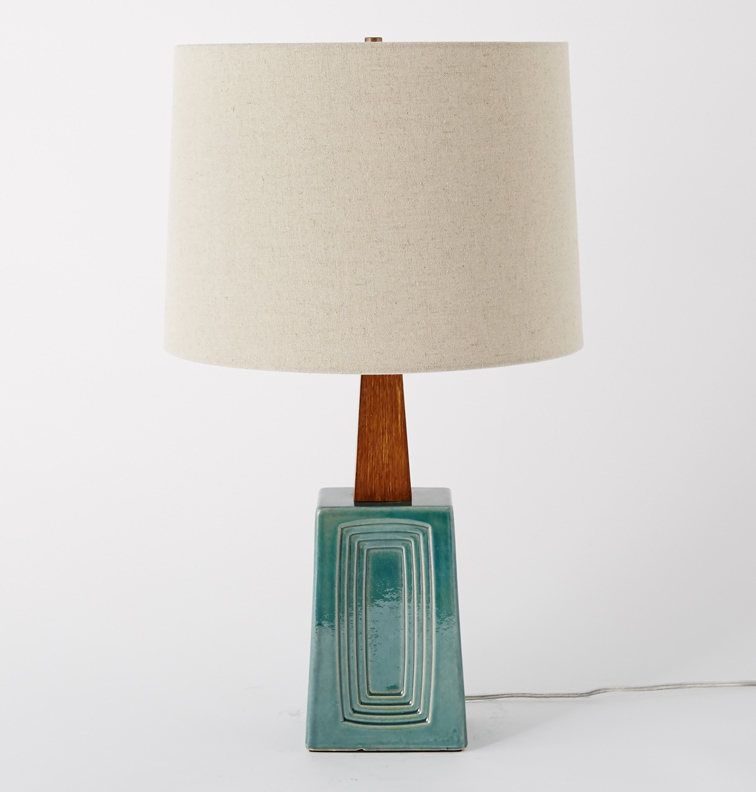 four: dbO Home table lamp, available at West Elm. 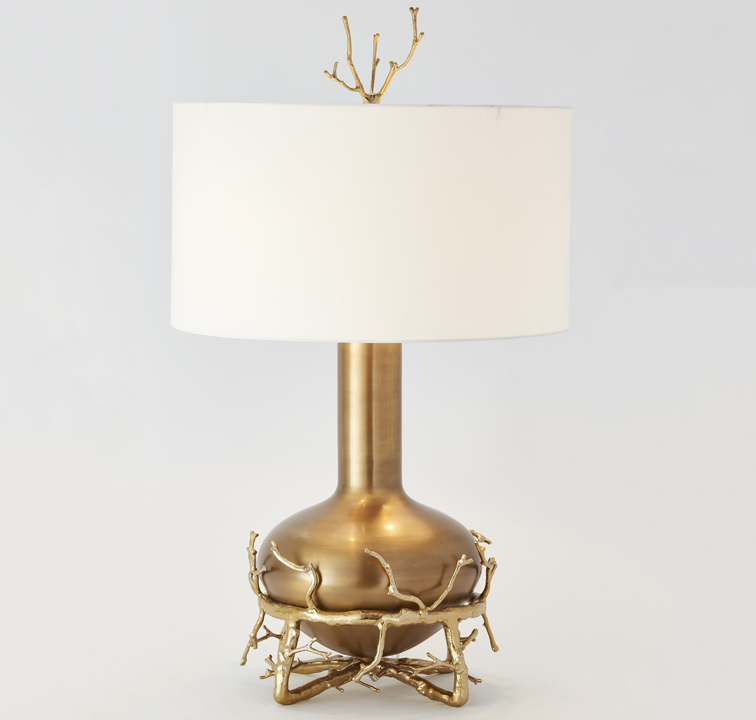 five: Fat brass twig table lamp, by Global Views, available at Holt Lighting Depot. 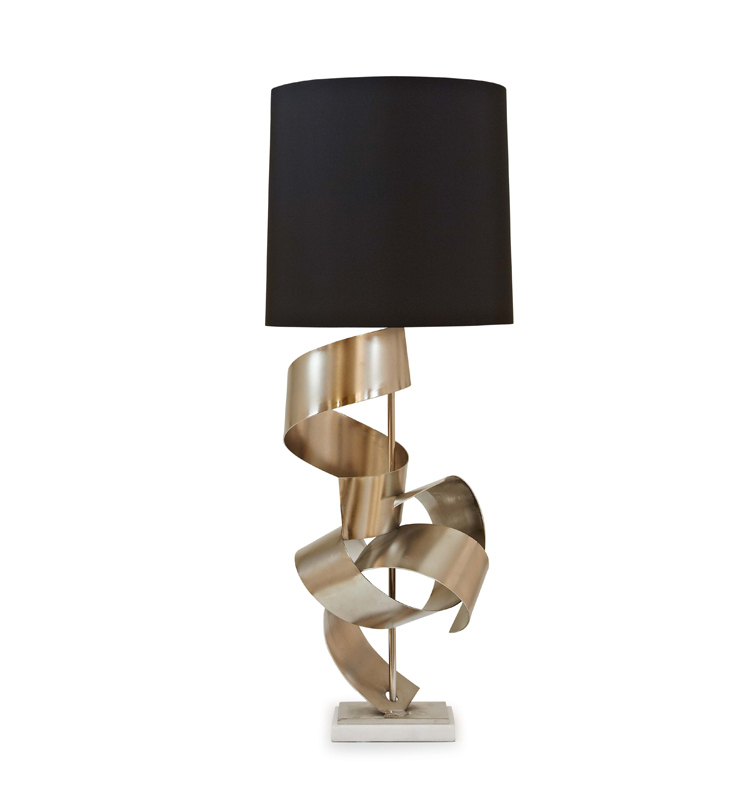 six: Robert Kuo Shan table lamp, by McGuire, available at KDR Designer Showrooms. 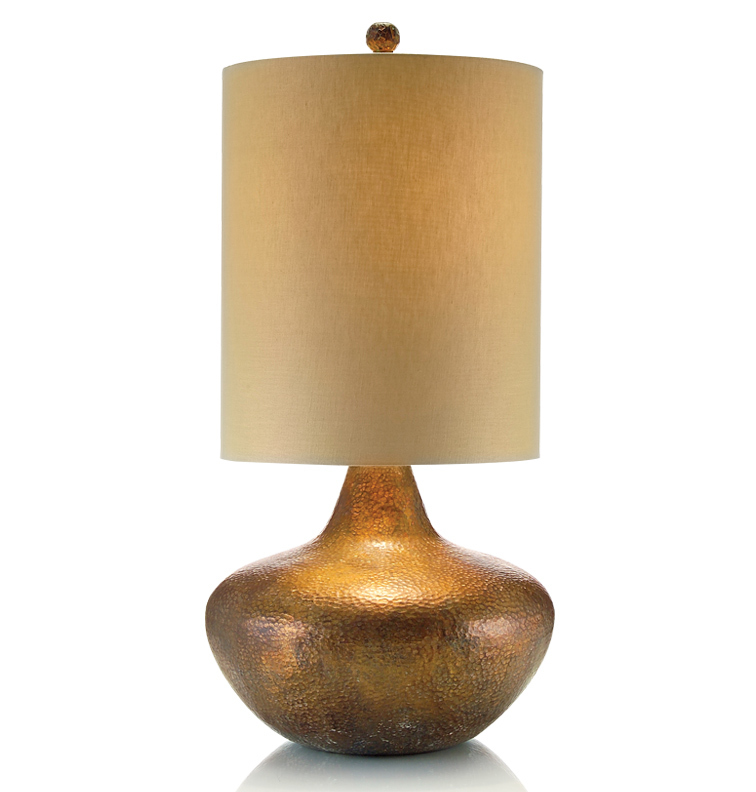 seven: Hammered copper lamp with retro drum shade, by John Richard, available at KDR Designer Showrooms. 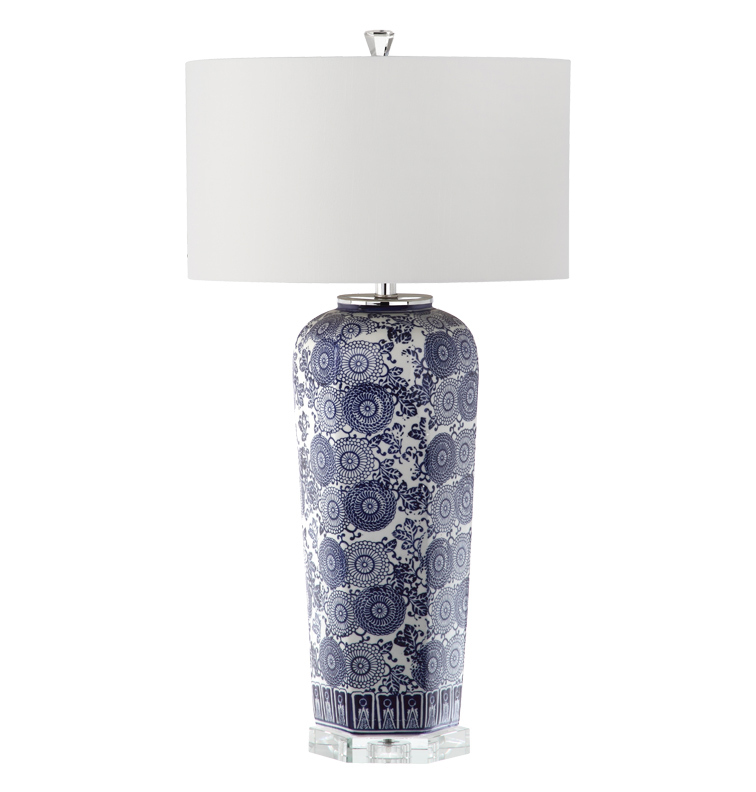 eight: Blue and white table lamp, available at Wilson Lighting. 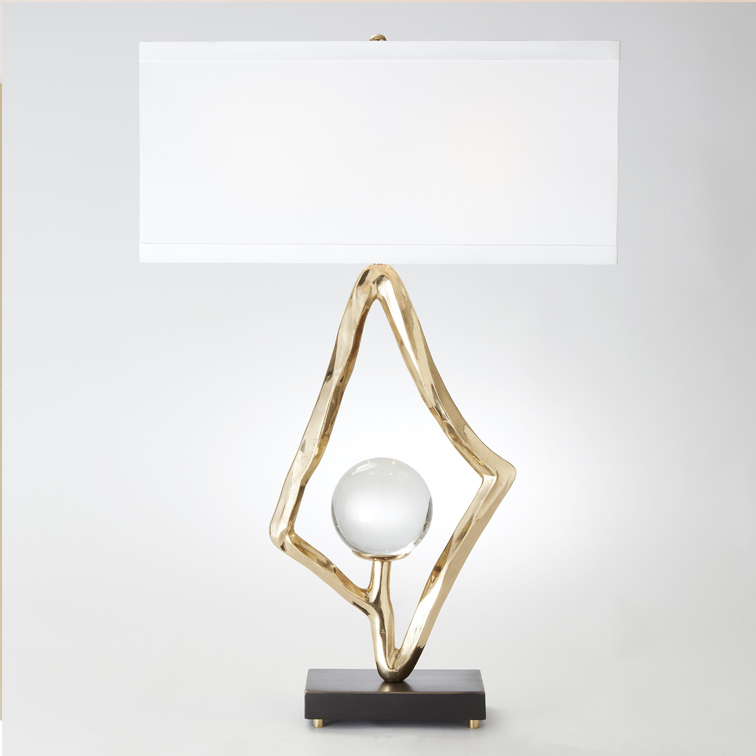 nine: Bowie table lamp, available at Mitchell Gold + Bob Williams. 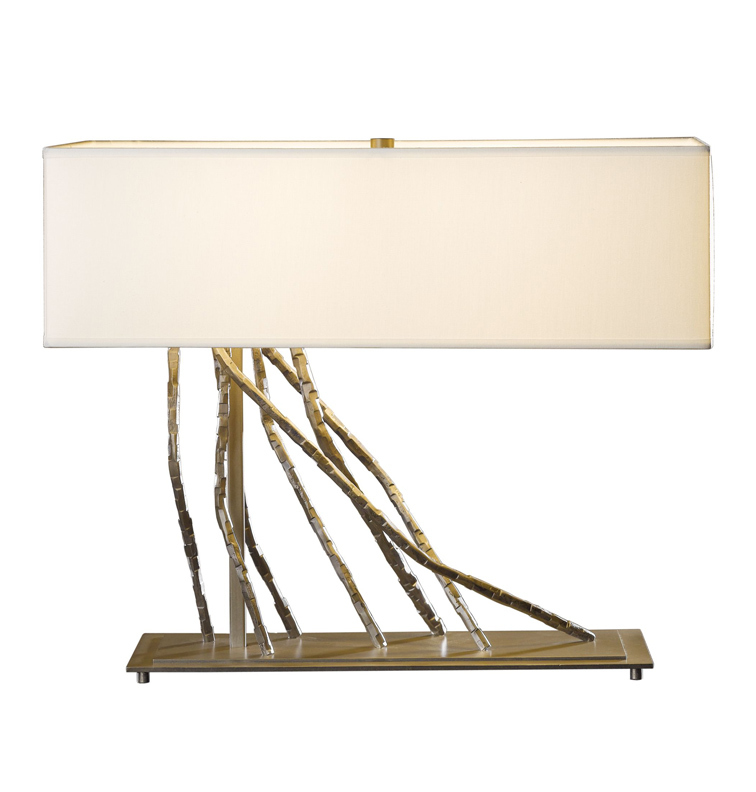 ten: Brindille table lamp, by Hubbardton Forge, available at Metro Lighting. 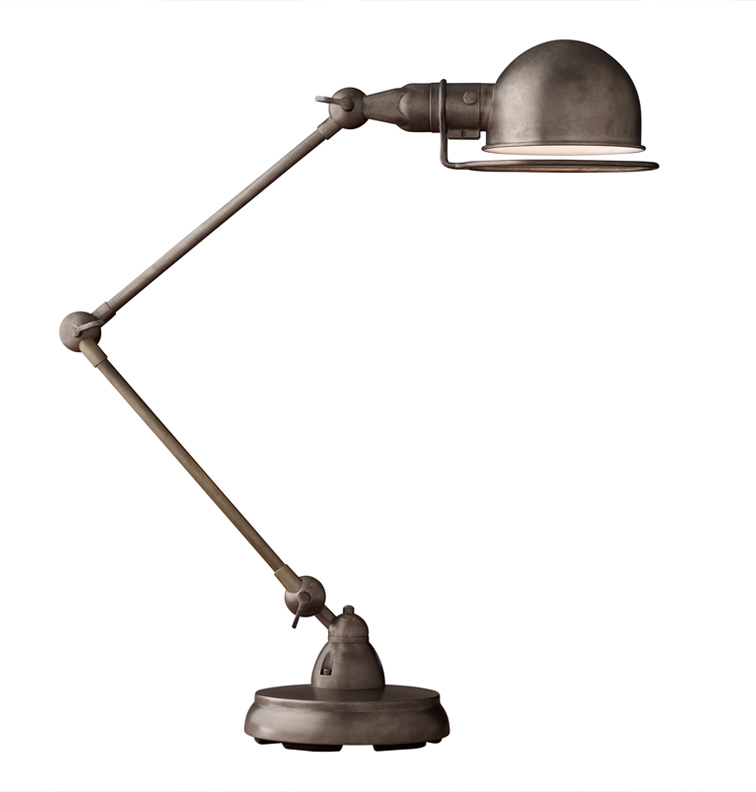 eleven: Atelier task table lamp, available at Restoration Hardware. 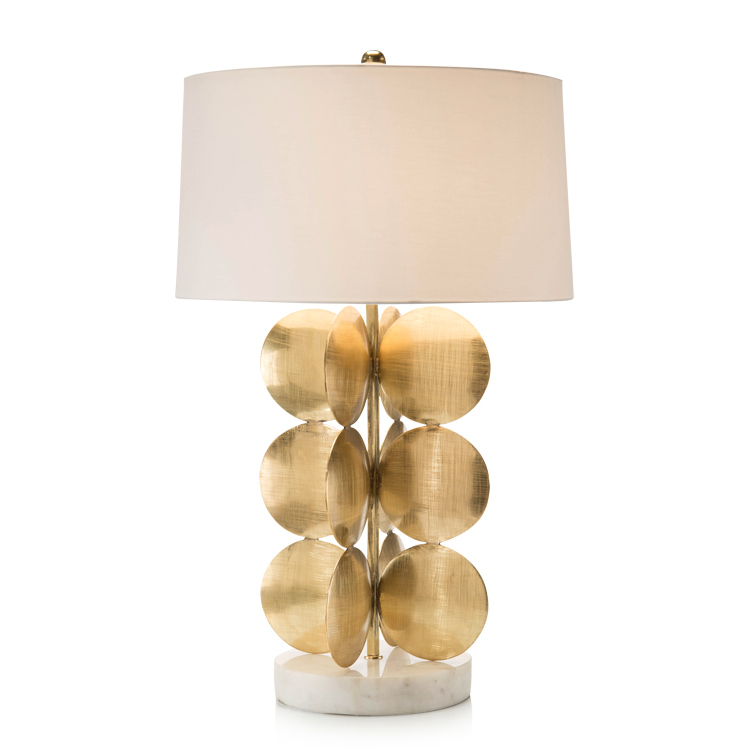 twelve: Around in circles table lamp, by John Richard, available at KDR Designer Showrooms. thirteen: Pill table lamp, by Global Views, available at Holt Lighting Depot. 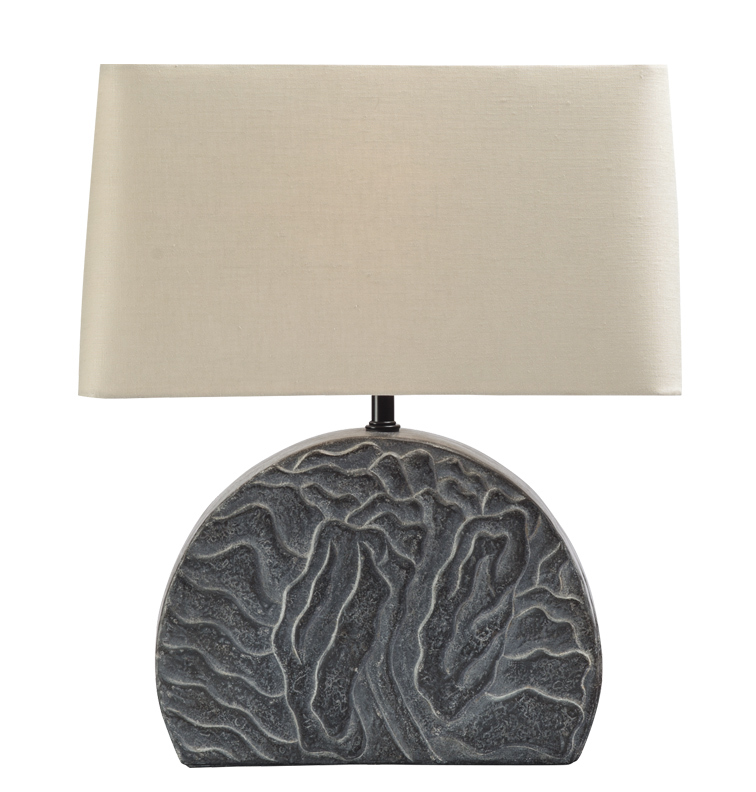 Once the paint is dry and you’ve got your furniture in place, table lamps are a key element to illuminate your space. 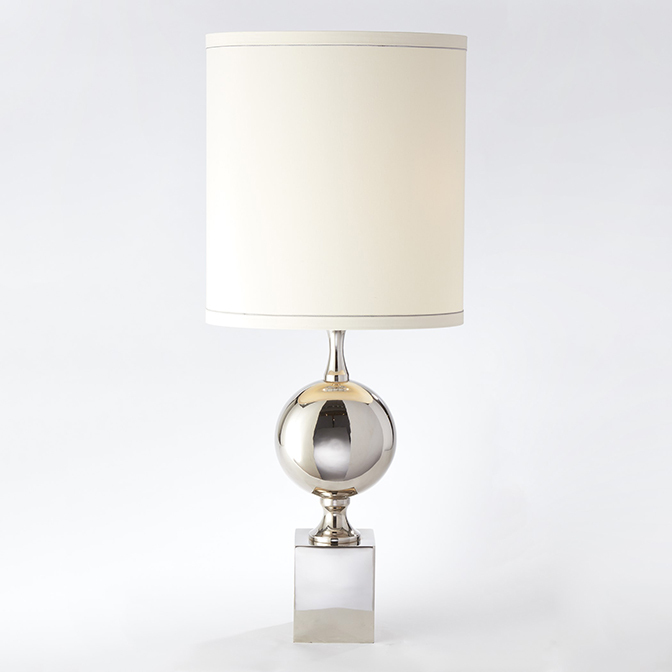 Table lamps are a fun way to add personality to a room and can easily be changed out for a fresh new look. 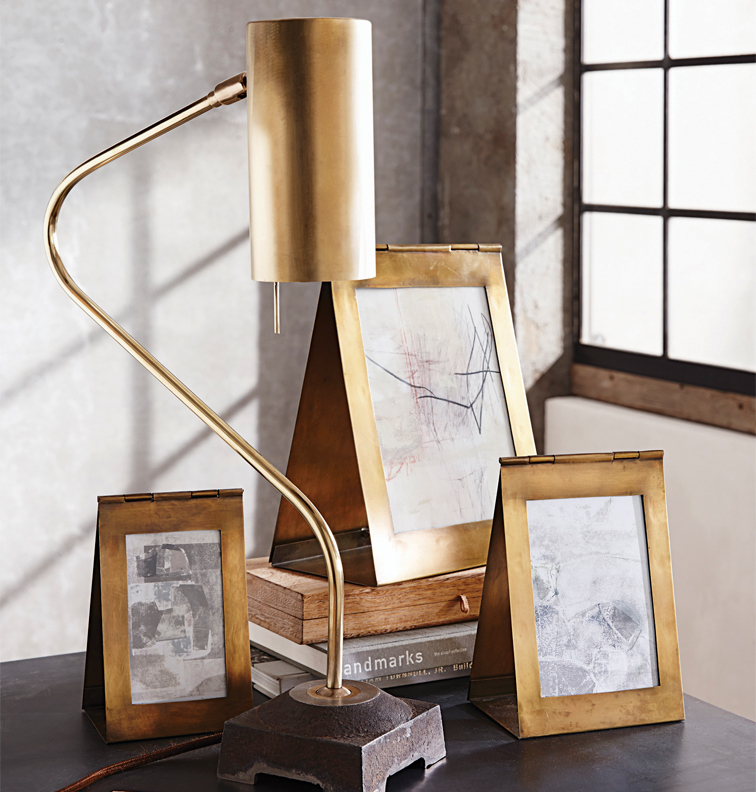 one: Bent brass desk lamp, available at Savvy Surrounding Style.